Newly filed legislation would protect Texas red light cameras in defiance of the campaign promises of Governor Greg Abbott. Texas lawmakers are taking steps to keep newly re-elected Governor Greg Abbott (R) from fulfilling a major campaign promise. Abbott, formerly the state’s attorney general, made outlawing red light cameras a priority — even going so far as to specify that the contracts used by local jurisdictions must be legislatively preempted (view pledge). Two of the state legislature’s leaders last week prefiled legislation that would protect the ability of local jurisdictions to continue using red light cameras for as long as they wish. 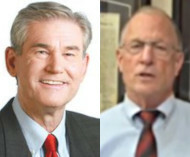 State Representative Ed Thompson (R-Pearland) and Senator Bob Hall (R-Edgewood) came up with their own approaches to legislation that uses the language of “banning” cameras while at the same time giving cities plenty of time to lock in long-term contracts with private photo ticketing companies. Byron Schirmbeck, the Texas coordinator for Campaign for Liberty, pointed out that this is not the first time that lawmakers like Hall have moved to increase the use of cameras while styling the effort as a prohibition on camera use. Although House Bill 262, introduced by Thompson, does say that a local authority may not use red light cameras, it would only prevent new installation in cities that do not have them as of June 2019. Any city that would like to continue using existing red light cameras would be allowed to do so under Thompson’s grandfather clause. “If before the effective date of this act a local authority enacted an ordinance under those provisions to implement an automated traffic control system and entered into a contract for the administration and enforcement of the [red light camera] system, the local authority may continue to operate the system under that ordinance and under the terms of that contract until the expiration date specified in the contract as the contract existed on the effective date of this act,” Thompson’s bill states. Most of the localities using red light cameras signed twenty-year or thirty-year contracts in 2009 in response to a previous legislative attempt to ban cameras. Those that do not have a long-term deal, or those with easy termination clauses, would still have until June 1, 2019, to revise existing deals with private photo ticketing contractors. Senator Hall’s bill likewise sounds very tough. “A governmental entity may not use information from traffic surveillance technology for any purpose, including the issuance of a civil or criminal charge or citation for an offense or violation based on a recorded image or reading produced by traffic surveillance technology,” Senate Bill 77 states. Hall’s bill contains an identical grandfather clause allowing an unlimited continuation of existing red light camera programs, while adding a permanent exception allowing new cities to sign up to use school bus cameras. “[The ban] does not apply to the use of information from traffic surveillance technology that captures images of vehicles that pass a school bus if… the person who is cited for the offense is authorized to contest the citation in court,” Senate Bill 77 states. Prefiling is particularly important in Texas as the legislature is only in session for 140 days every two years, leaving lawmakers with little time to debate new ideas. The 2019 session begins January 8. A copy of the prefiled legislation is available in a 130k PDF file at the source link below.